The Cape Leopard Trust aims to facilitate conservation of the Cape Mountain leopard through simultaneously implementing conservation strategies, research projects and tourism. 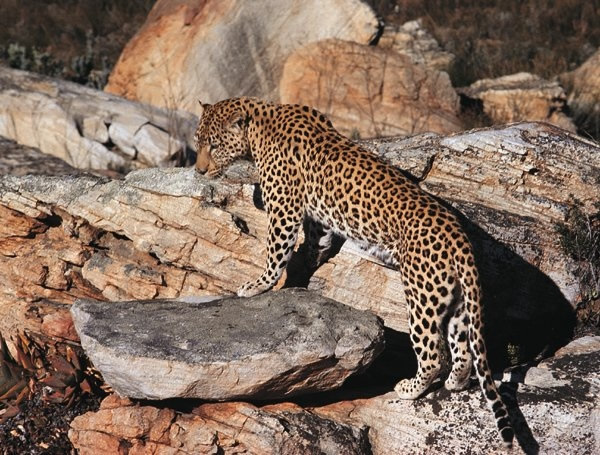 In the past the Cape Mountain leopard has proved highly resilient, however the leopard has suffered extensive range loss in the Western Cape and is now extinct in many areas. Today, the long-term survival of Cape Mountain leopards depends on their densities within protected areas such as the Cedarberg Wilderness. It is believed that there are many of this beautiful and elusive predator in the Cedarberg mountains but as they are so shy, signs of them are rarely found, let alone actual sightings. Reliable population estimates of the leopards are essential for effective conservation management and so the Trust aims to collar 12 leopards and keep track of their movements.